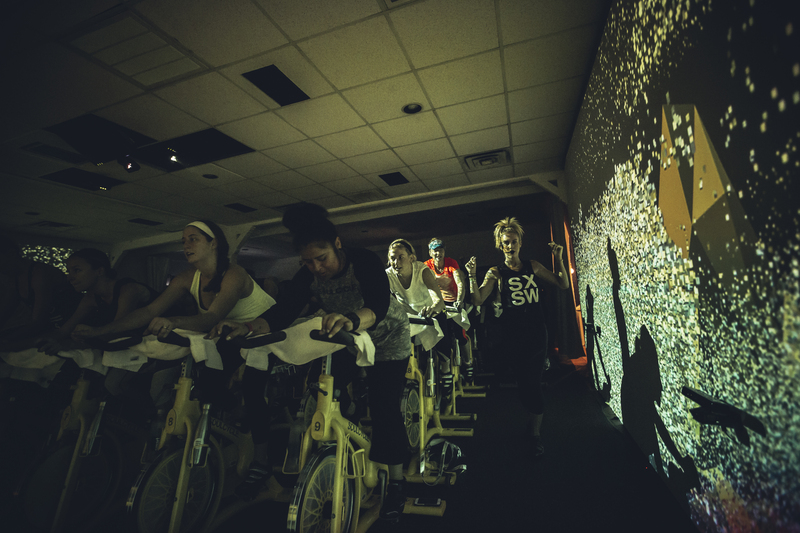 Volvox Labs brought their Kinect-driven projections to The Spotify House for one-of-a-kind cardio parties with SoulCycle at SXSW 2016. An immersive, 270-degree projection infused cycling experience was brought to life by seven HD projectors and six kinect sensors, all housed in a formerly abandoned Mexican restaurant. Real-time, live generative art was produced and projected in response to rider movements. 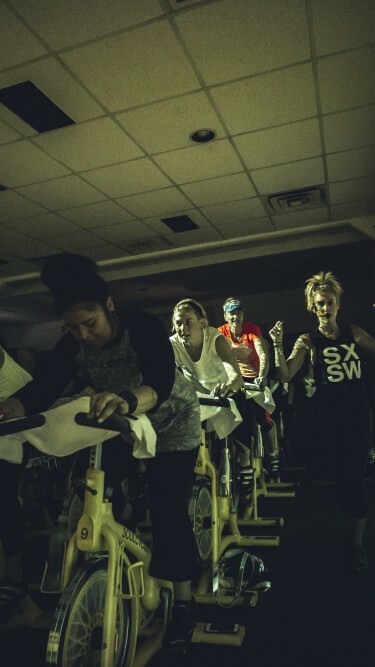 In tandem with live, high energy DJ sets from Chromeo, AlunaGeorge, ILoveMakonnen, Neon Indian and TOKiMONSTA, projections enhanced the signature SoulCycle experience and explored the intersection of technology, music, and fitness.